I realized only very recently that the Battenburg cake is actually my childhood cake treat called the checkered cake! 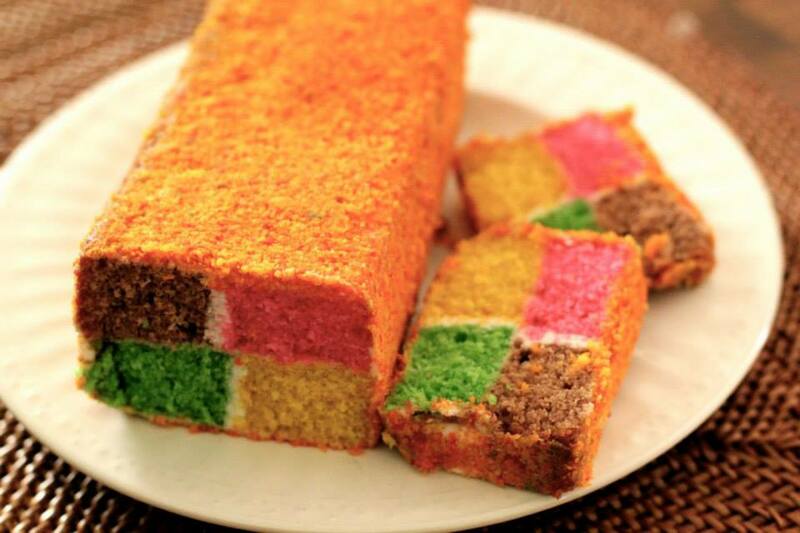 As a kid I used to love having this cake because of the different colours. And in spite of the fact that all 4 colours tasted exactly the same I would take the squares apart and eat them in a particular order starting with the green, yellow and usually leaving the pink or chocolate coloured square for the end. The cake is made by Venus Confectioner’s and still sold in the same plastic wrapper and tastes pretty much the same. A very sweet cake best enjoyed with a cup of tea or coffee. So happy that some things haven’t changed! This entry was posted in Mumbai memories and tagged Battenburg, checkered cake. Bookmark the permalink.